While the modern college-aged millennial is often found swimming through post after post on social media, College of Mount Saint Vincent Dolphins are diving head-first into a new passion: service to the poor and vulnerable. Spearheaded by the Office of Mission and Ministry, the Month of Service took place at the College for its sixth straight year—growing from a single day of volunteerism into an entire month’s worth of outreach opportunities. This year’s Month of Service added 1,700 individual volunteer hours, bringing the total hours served to over 10,000. Mount students hold tight to the spirit of charity. Annually, the Office of Mission and Ministry teams up with FYE—or First Year Experience—to introduce first-year students to the Mount’s long-standing tradition of giving back. Whether they’re preparing meals at POTS Soup Kitchen, offering companionship to the elderly at the Hebrew Home at Riverdale, or building homes with Habitat for Humanity, Mount volunteers continue to break the millennial stereotype as they put away their cell phones and answer the call to service. 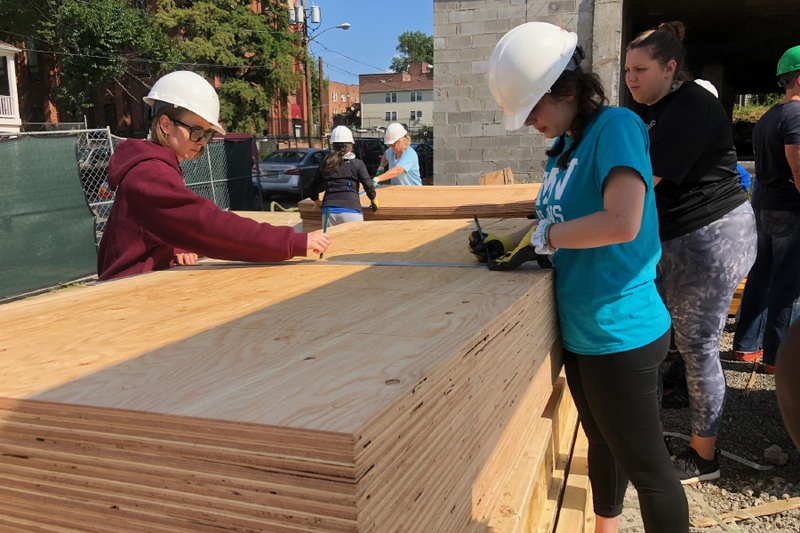 For Kayla Ortiz ’19, the introduction to volunteerism through the Month of Service as a first-year student three years ago inspired a commitment to serving those on the margins of society. Over the past three years alone, she has volunteered with organizations throughout New York, Philadelphia, the Appalachian region, and Ethiopia. And Kayla is just one remarkable example of the impact the Month of Service has on the College community. The Midnight Run is one of the Mount’s most popular and longest-running Partners in Ministry, backed by over 20 years of collaboration. 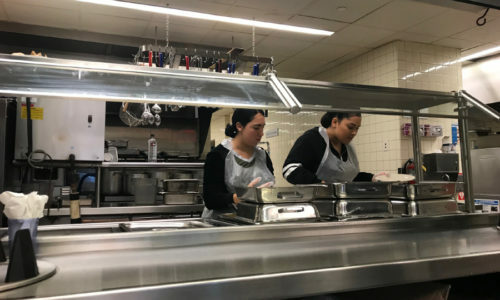 Bill Gemake, who has volunteered nearly 30 years with the Midnight Run, has accompanied the College on more than 100 trips into Midtown Manhattan to feed the hungry. For Mr. Gemake, one element continues to impress him: the quick connections Mount students form with those they serve. Mount students devote their time to helping those most in need. They understand their integral role in preserving the human dignity of each person, which is essential during a time of unsettling political and religious turmoil. And they continue to reaffirm their unique commitments to charity, bringing an undebatable spirit of hope for the future—not only during the Month of Service, but always. That’s why the selfies can wait.